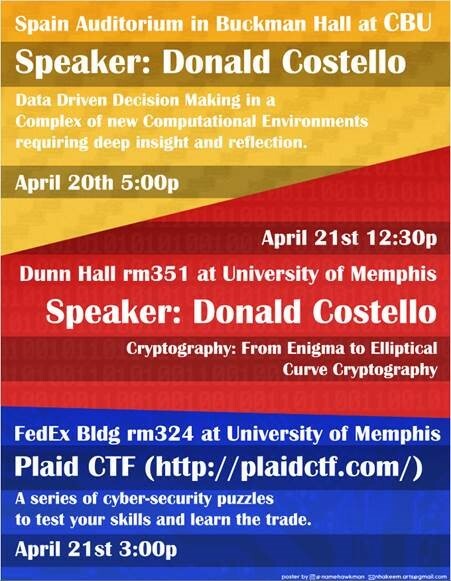 The Computer Science Colloquium is open to the public at large and is usually held Fridays during the Spring and Fall semesters. The event aims to provide a view of the cutting-edge in computer science, computer science education, and relevant research from other disciplines. 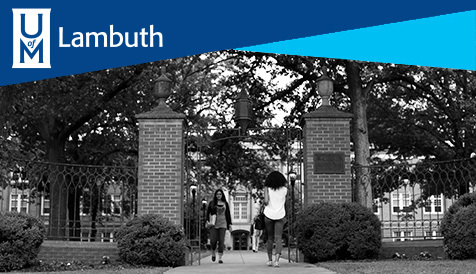 The speakers include faculty from the University of Memphis, guest speakers from other schools and industry, and occasionally students in the final stages of their academic programs. The talks are followed by a reception to foster interaction between audience and speakers. You are cordially invited! Colloquium talks are made possible, in part, by the Peter I. Neathery Colloquium Fund and the Computer Science Department. Simulation Security - What If a Simulation Is Too Good? Bethany L. Cooper, Corporate Recruitment and Talent Management Coordinator, FNC, Inc.